Remember blowing milk bubbles?!?! 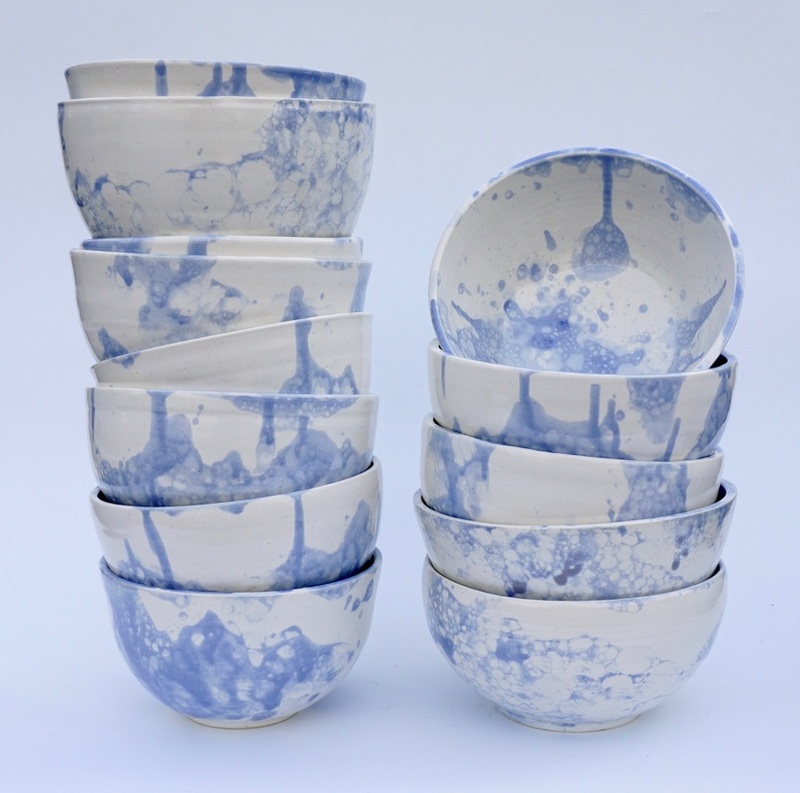 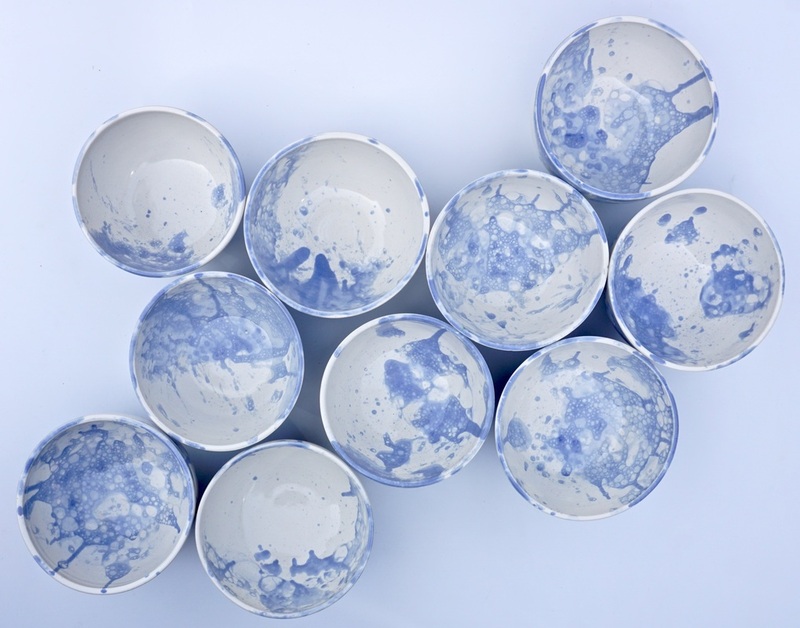 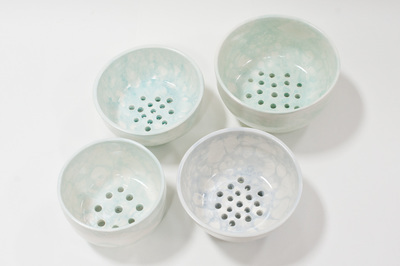 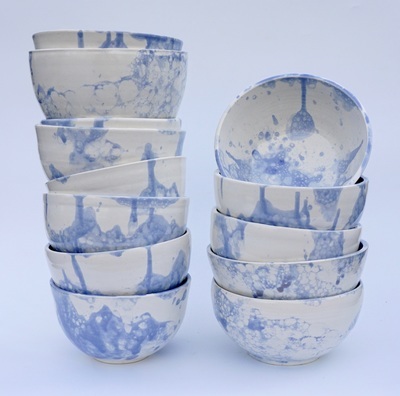 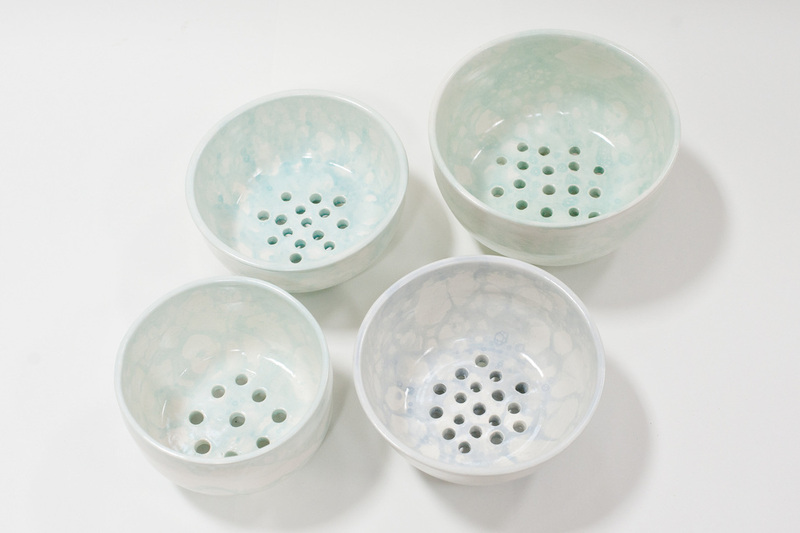 Well, this collection was made by blowing overflowing bubbles onto the surface of each pot! 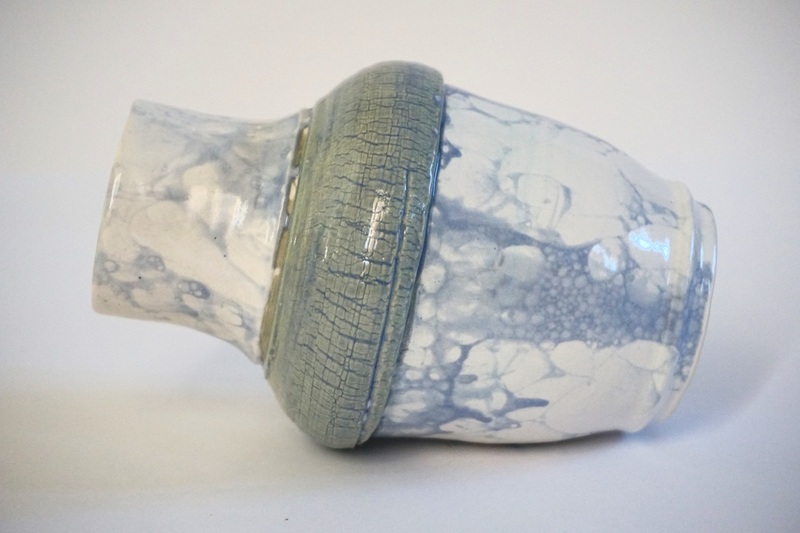 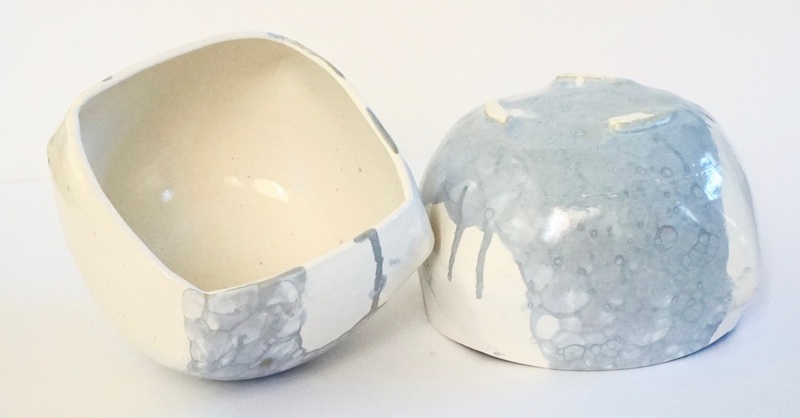 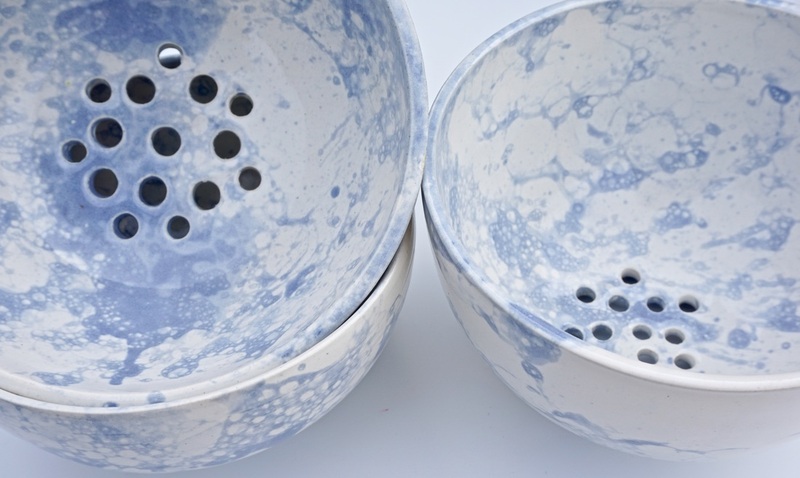 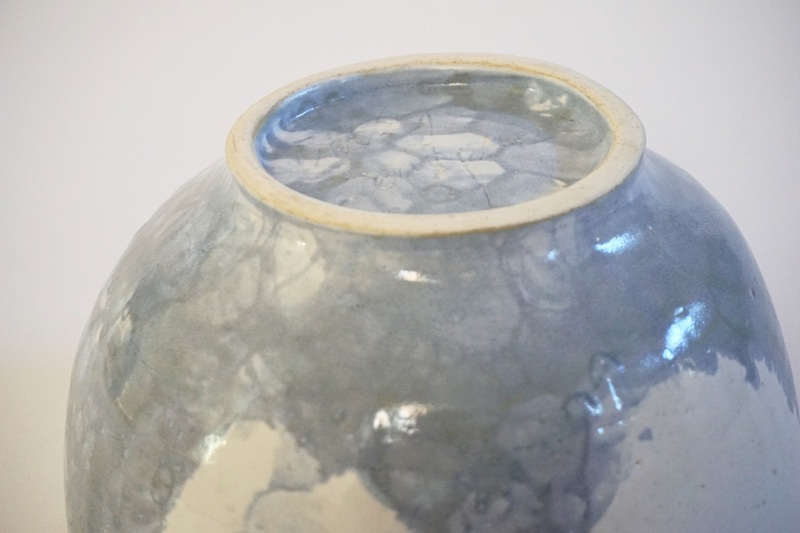 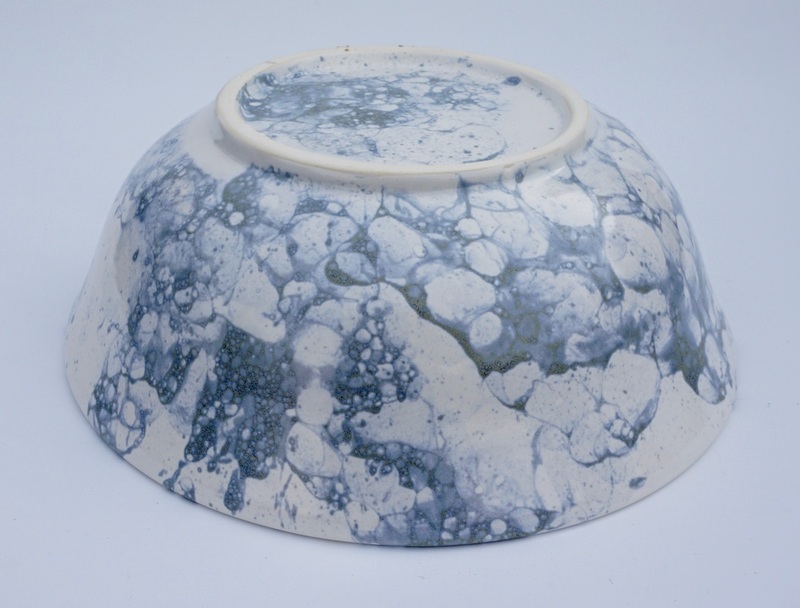 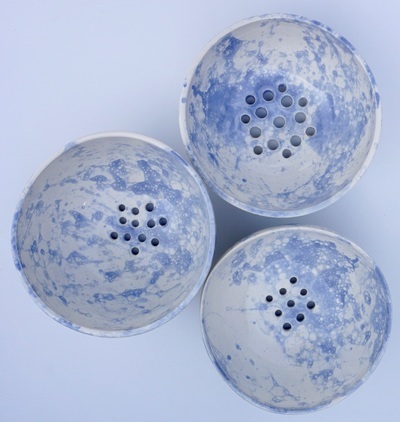 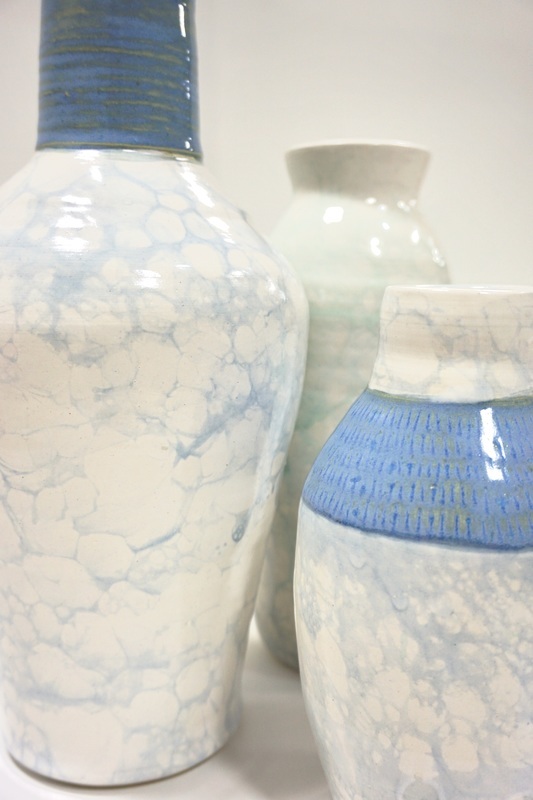 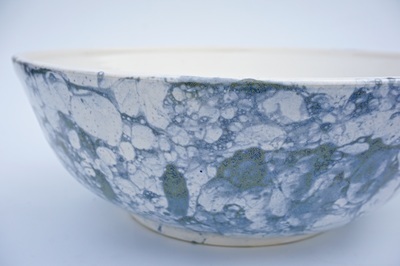 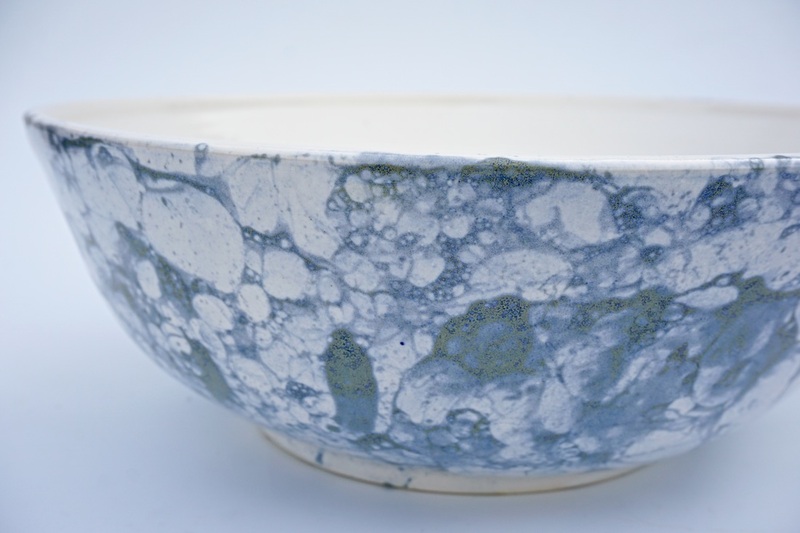 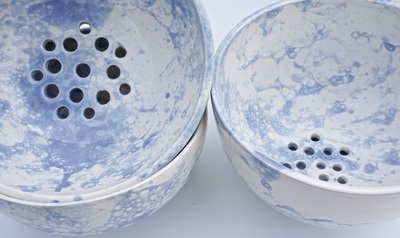 The results always vary depending on the thickness of the glaze and the ways in which the bubbles pop and drip across the surface.